Though the Apple Watch is only set to appear next year, North American based Mervis Diamond Importers is already planning to attach a diamond encrusted 18-karat rose gold tennis bracelet to it. The tennis bracelet is eight rows of studded diamonds which equate to about 15.14 carats worth of diamonds. Aesthetics aside, the hardware and specifications of the Apple Watch are exactly the same, save for the two different screen sizes the device will come with. 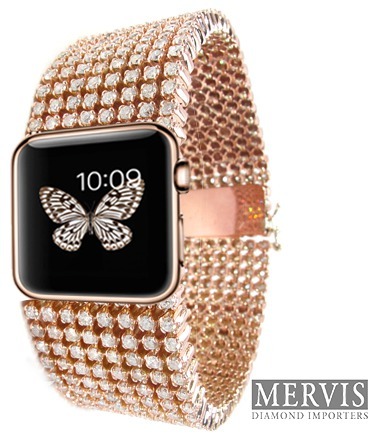 At this point in time, Mervis Diamond Importers does not have an actual photo of their diamond encrusted version of the Apple Watch. What they do have however, is a mock up photo of the device on their Facebook Page. Mervis is planning on offering its version of the Apple Watch for US$30,000 (RM104797.50) around the middle of next year. Whether it is worth the additional bling is questionable, although customers are almost certainly going to be paying for those extra diamonds. 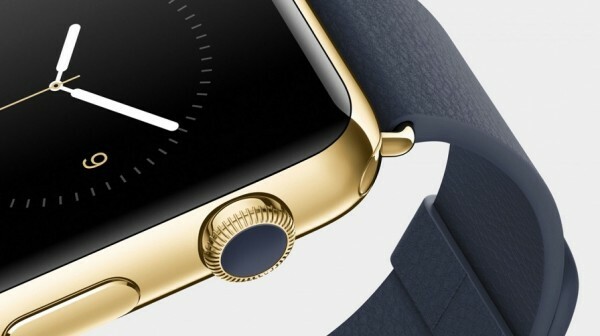 Gold plated Apple products are not entirely new and are becoming increasingly common; adding diamonds is definitely the next step in proving that the owner had more money than he or she knows what to do with.